Left-wing Israel actors try again to boycott Ariel, in Samaria, call it outside Israel and threaten to sue. Lieberman accuses them of incitement. 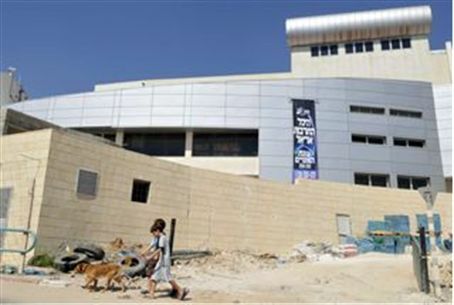 Several Israeli performing artists again have called for boycotting the new theatre in Ariel, located in Samaria, charging that the city is outside the State of Israel. One playwright threatened to sue the Carmeri theatre company if his play is performed in Ariel. Playwright Shmuel Hasfari stated, "There is a clause in my contract that every showing of the play outside of Israel's borders requires a new, separate contract." A Carmeri official said the clause referred to European countries. Left-wing actors several weeks ago raised a political ruckus with a boycott call, which was met by several threats by Knesset Members to cut off government funds for artists who refuse to perform for political reasons. Calling the boycotting artists part of a ”fringe group,” he said his Israel Is Our Home (Yisrael Beiteinu) party backs cutting funding direct aid, including travel expense and prohibiting the boycotters from performing at government functions. The artists escalated their attack on residents of Judea and Samaria, alleging in the letter that Ariel “was founded for only one purpose – to prevent ”Palestinians” from being able to build an independent state” and to prevent peace. There was no mention of Biblical history in Judea and Samaria and of the war brought on by the Arabs which resulted in their losing the area. They sent the letter to Cabinet members and most Knesset Members, telling them that the government has created “racist laws” that contradict Israel’s Declaration of Independence. The protesters piggybacked other complaints, singling out Tzfat Chief Rabbi Shmuel Eliyahu for “racial incitement: by recently ruling against selling or renting Tzfat buildings to Arabs who are trying to provoke violence and break down Jewish values in the city.